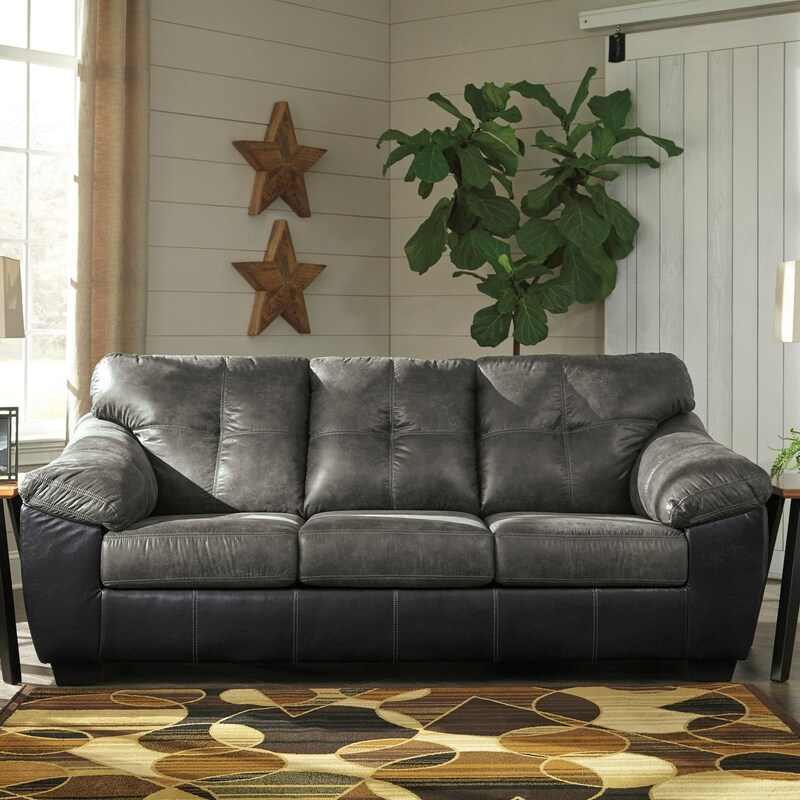 Rugged look faux leather in the seating area and darker faux leather on the back and sides bring together a casual design for this sofa. Buttonless tufting on the back and accent stitching add to the easygoing style. The Gregale Two Tone Faux Leather Sofa with Pillow Arms by Signature Design by Ashley at Miskelly Furniture in the Jackson, Pearl, Madison, Ridgeland, Flowood Mississippi area. Product availability may vary. Contact us for the most current availability on this product. Create a comfortable place to gather in your living room with your choice of items available from this collection. Pieces feature a casual two-tone style with fabric and complementing faux leather. The Gregale collection is a great option if you are looking for Casual furniture in the Jackson, Pearl, Madison, Ridgeland, Flowood Mississippi area. Browse other items in the Gregale collection from Miskelly Furniture in the Jackson, Pearl, Madison, Ridgeland, Flowood Mississippi area.